Today we have a new kind of challenge for you! For this Tuesday, we are going to do a “No White Foods Day”! 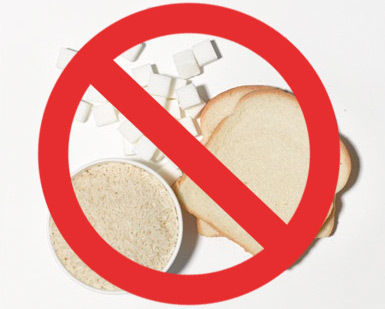 That means, no white bread, white sugar, white crackers, white pasta.. basically anything with the word white is out for the day! Try and control your hunger with healthy snacks like our Snackergy line or some of our great Control Snacks! We are 10 days in! Keep it up! The post June Slim-Down Challenge: Day 10 – June 10, 2014 appeared first on Nashua Nutrition Blog.